Introducing a new playful bag from 2017 Prada handbag collection. If you are looking for a unique bag to own and flaunt this season, then the Prada Plex Ribbon Geometric bag is just what your bag collection wants? It’s easy to fall into buying the same types of bags, but there’s something to be said about changing things up as well. 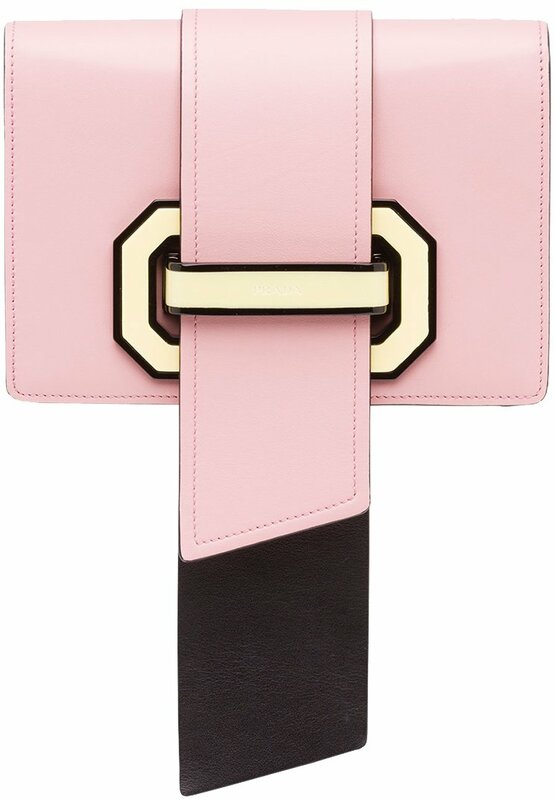 This Prada Bag exudes style and confidence to the highest level. 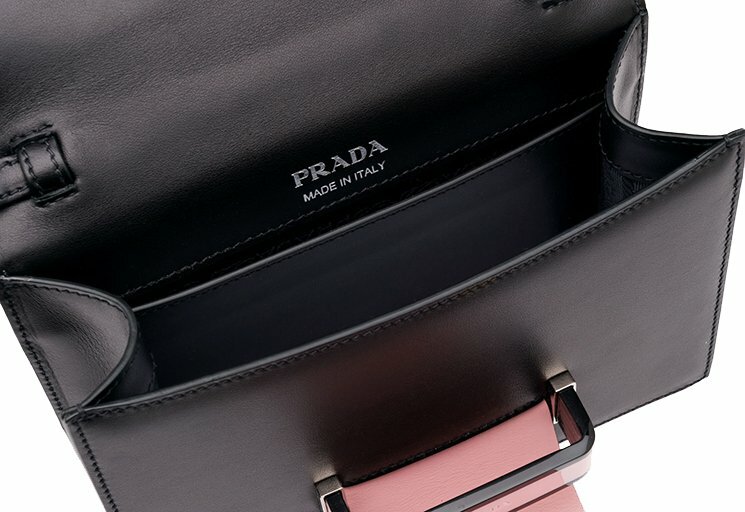 A stylish and modern misfit in the bag world, the Prada Plex Ribbon Bag is everything you can ever ask for a distinctive accessory. The first thing that will catch your attention would be the lock with the extra long strap which very much looks like a ribbon. So before you go gaga with this latest Prada goody, let’s talk more about its details. It is made up of genuine calf leather and has steel hardware to complement it. 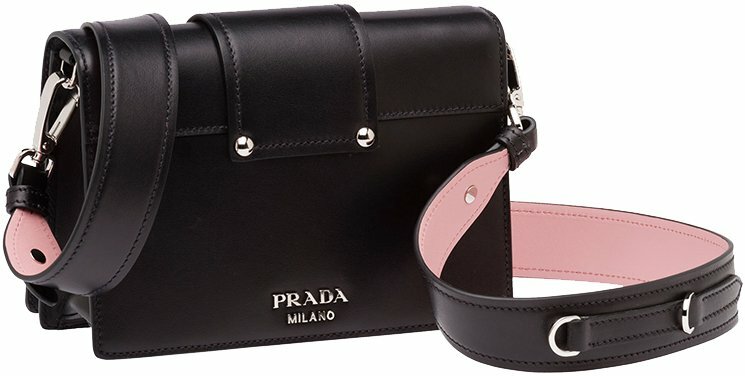 It also showcases a unique Plexiglas clasp with leather loop and the metal lettering logo that proudly displays that you are owning a one-of-a-kind Prada piece and features multi-functionality thanks to its detachable leather shoulder strap for shoulder and cross body carrying.